We Heart That curates, creates and inspires by showcasing art content around the globe. 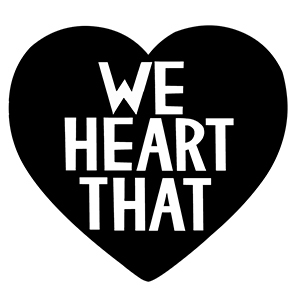 We Heart That also creates art pops around the world showcasing established and new and upcoming talent. Curates – We curate content by finding the best art content on vimeo and other platform. Creates – We create art content to make art more accessible to art lovers. Inspires – We inspire art lovers and collectors by showcasing amazing art. Get access to the most exclusive art parties, openings and exhibitions, collectors, dealers and artists. We Heart That also has related content with We Art That, We Fashion That and We Design That! Artists featured on the blog are Gary Taxali, Augustine Kofie, Shepard Fairey and others. Thanks to Chop Em Down Films, Freshmen Media, Mana Contemporary, Jonathan Levine Gallery and Projector Films for creating awesome video content. The We Heart That curators find amazing art content that’s buzzworthy. Meet some of our curators below. Vandana Taxali is an art agent and lawyer and the founder of We Heart That. She is passionate about bringing art in the streets, instagram and other unconventional places to the forefront. She is art agent for her brother artist, Gary Taxali. PB is curator at We Heart That. She is also a professor at Seneca Collage. She is also an art lover of low brow and pop surrealism. She is a collector with avante-garde taste.